Irish Record 6lb 15oz taken on 12.06.1979 by J.Murnane at Lough Druminesa, Bantry. Eels have an elongated body. The dorsal fin begins behind the pectorals and extends along the body to the tail, continuing along the underside. The under-belly is yellow leading to green-brown flanks and dark back. However, mature Eels will colour change to silver flanks going on to dark bronze back, prior to heading for open sea and eventual spawning. N.B. 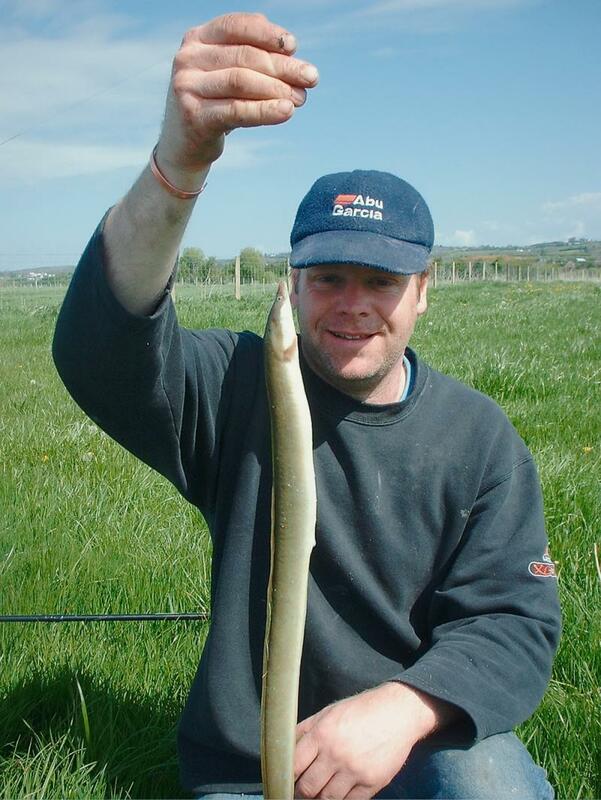 Currently, Eels are protected and angling or commercial fishing specifically for Eels is temporarily prohibited. 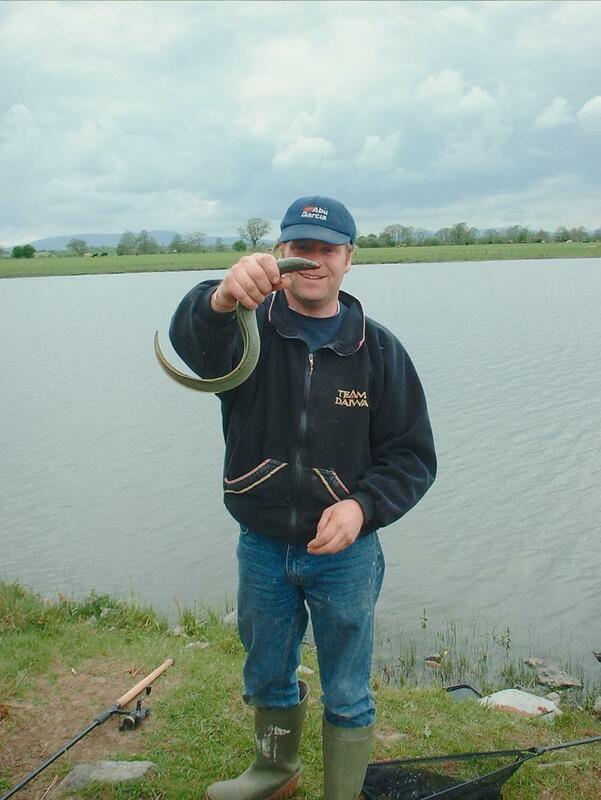 Eel are common throughout Ireland, and found in almost every lough, lake, river, canal and land drain. At one time they were a major source of income for commercial fishermen on several of our larger waterways, but time (and man-kind) hasn’t been kind to this ancient species. Over-netting and long lining, loss of habitat, and a critical debilitating viral infection it seems, has drastically reduced numbers, not only in Ireland but throughout Europe. 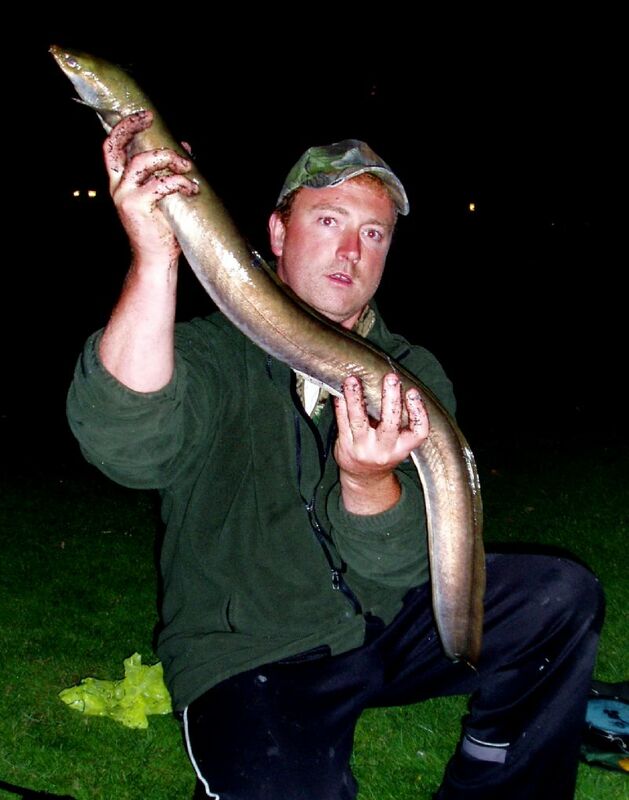 This is why Eels have been suspended from the specimen list, although a potential new record may be considered. Archives show that Lough Derravaragh, the River Lee, the River Barrow, Inniscarra Reservoir, “The Lough” in Cork and the Quoile in Downpatrick all produced large fish, to name but a few. From May-October coinciding with a rise in water temperature, with late summer preferable. 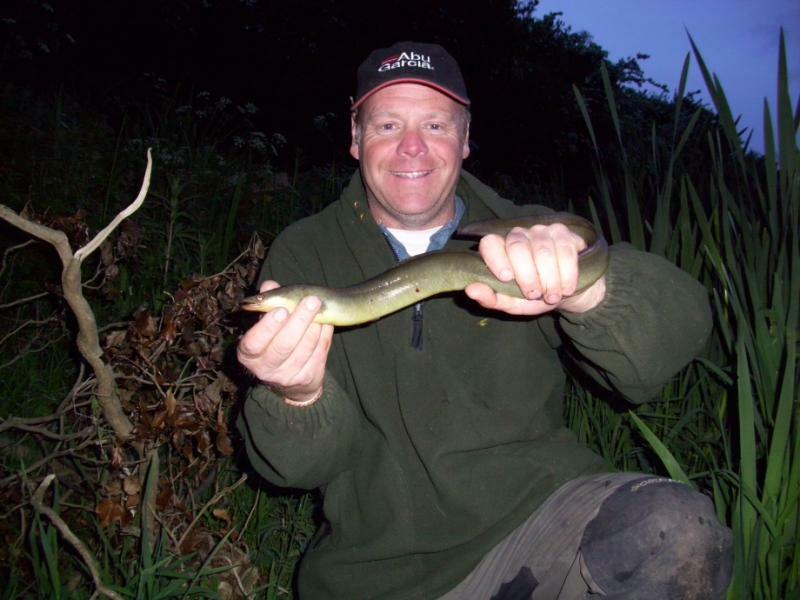 Smaller Eels can be caught throughout daylight hours, but by and large, the larger specimens should be targeted after sun-set and first light. Eel will attempt to eat almost any aquatic animal, and also dead and decaying mammals such as rodents or birds. They have an amazing ability to seek out food and can easily detect scent over large distances. I read that they can detect blood as one part per fourteen million in water, how accurate this is I cannot say, but they certainly have the ability to home in on a scent trail quite rapidly. Maggots are deadly for the juvenile Eels, but a bunch of lobworms or sections of small, fresh Roach, Rudd or Gudgeon will help sort out the larger specimens.